HIRE SWING PATROL FOR YOUR EVENT! 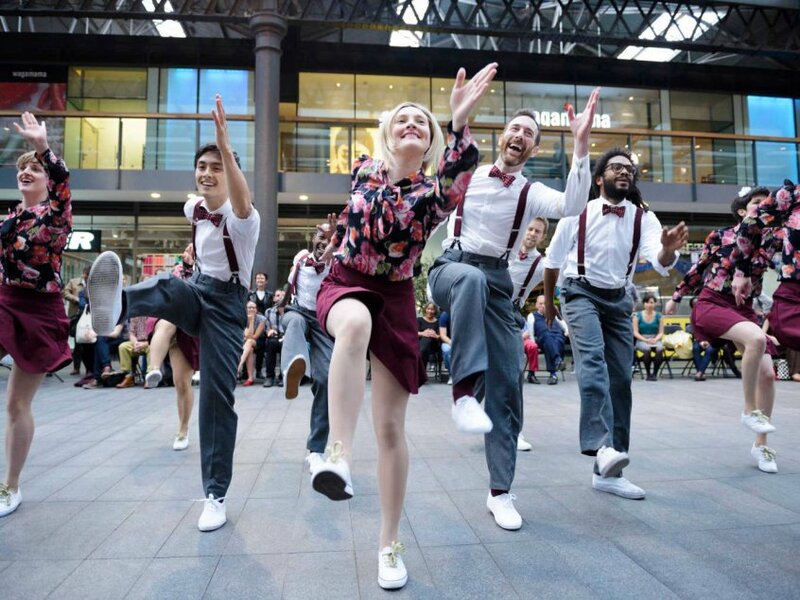 Swing Dance entertainment for corporate events, office parties, weddings and birthday parties. Combining our collective skills we can offer you one or all of these to help create the perfect event. 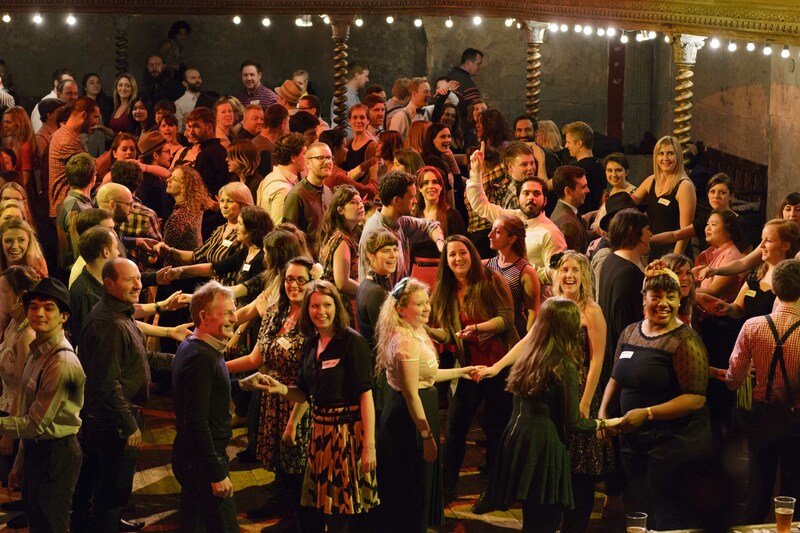 Our talented team of swing dance teachers can provide fun and friendly beginner swing dance lessons of any size. Great for breaking the ice and warming up for a night of dancing. 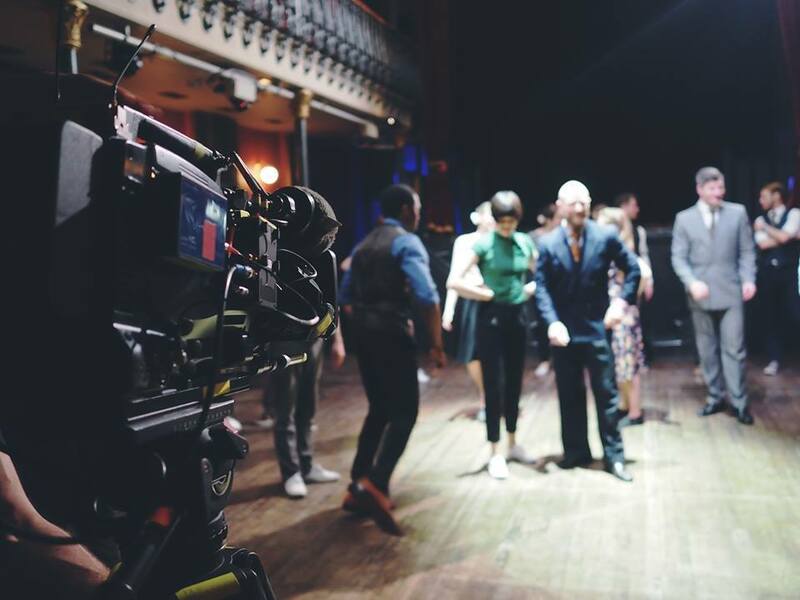 Our swing dance performers have won a various swing dance competitions and performed in TV adverts and in BBC’s Call the Midwife. Talk to us about performances for your event. 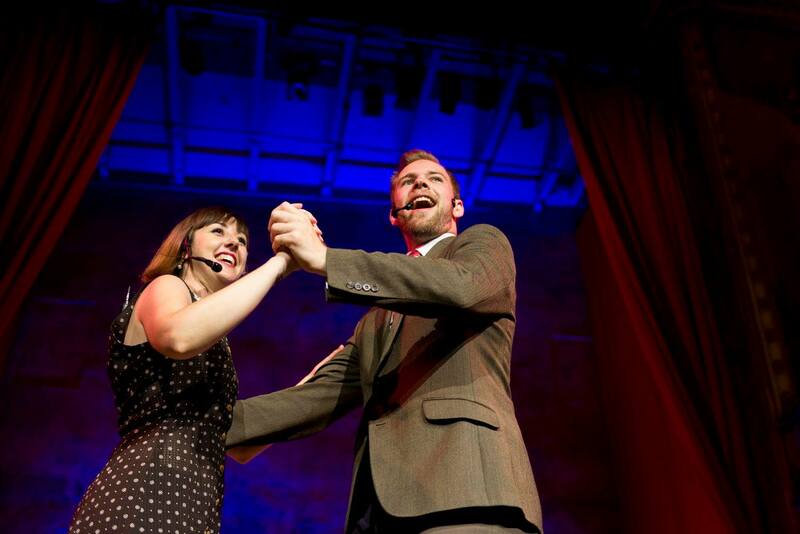 See our talented performance troupes here. Our experienced swing dance choreographers can create dances for any event, be it for national television or a first wedding dance! 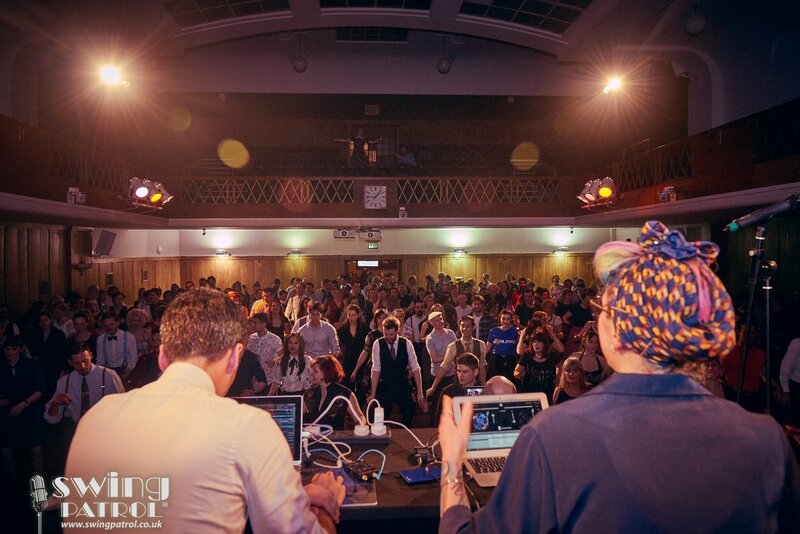 Perfect for team building or for those who want to take centre stage. 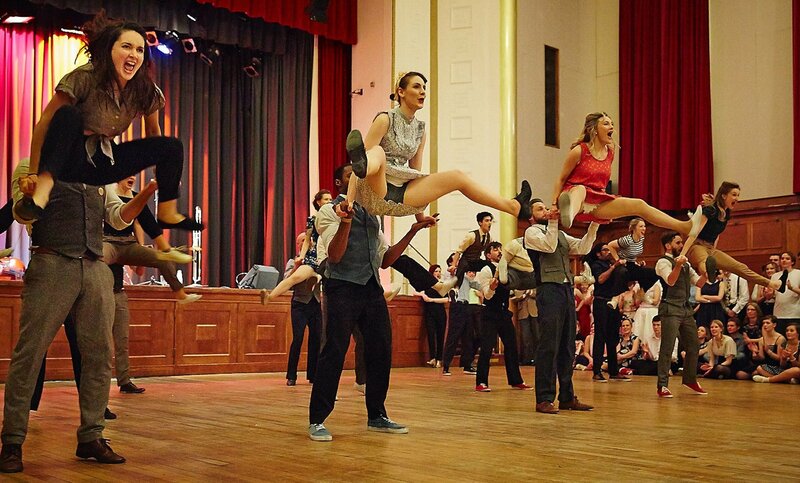 Hire our swing dancers to add atmosphere to your event and encourage your guests to dance. We can provide dancing couples or groups, dressed in vintage attire, to fill the dance floor. Talk to us about your theme. 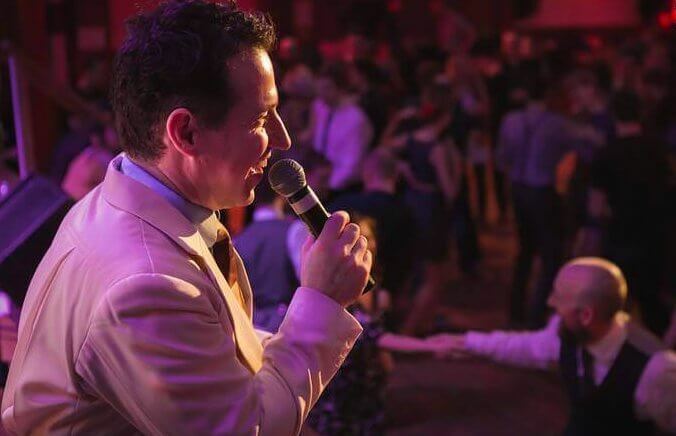 Our swing era DJs can add the perfect vintage themed soundtrack to your event. They’ve wowed the crowds at the Vogue Fashion Night Out and kept them dancing all night at the Blitz Party. Our experienced MCs will keep your night running smoothly. 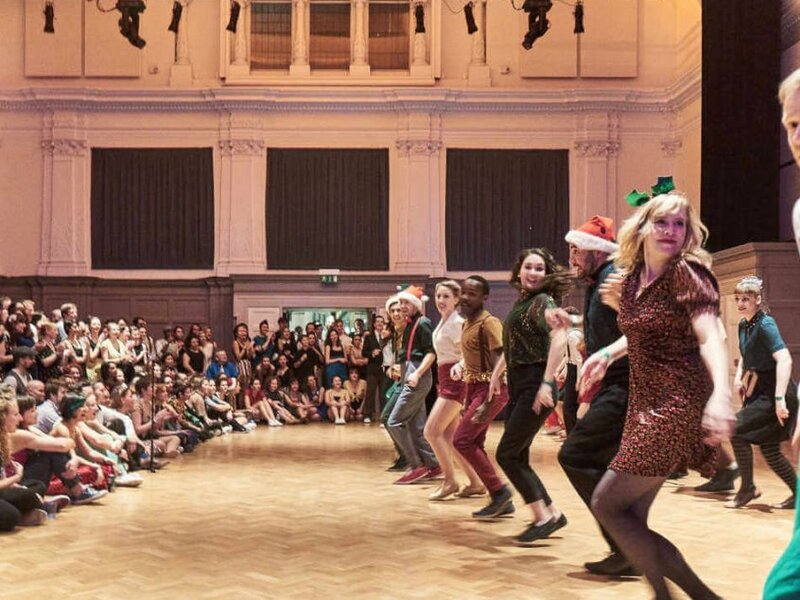 On behalf of everyone at Legal & General Investment Management, I wanted to say thank you very much for your fantastic dancing last night at our Christmas Party. All of the dancers looked absolutely fabulous and the dancing troupe really helped to create the authentic 1920s Speakeasy atmosphere that we were looking for. Thank you for agreeing to continue on the dance floor for a little longer than expected, due to the late running of our police raid! What a fabulous performance! Thank you so much for making our Awards Night extra special. We could not have asked for more. The dancing was amazing but what made you really special was how much fun you seemed to be having. It was totally contagious. Everyone has commented on how great you were. I have absolutely no reservations in recommending you for any event to really get the crowd going or just for pure entertainment. You are all STARS! Thank you once again. I was so impressed by everyone! It was a great night, wonderful enjoyable evening. So many people from the company said to me that it was the best party ever. I have to say they all looked incredible, the dancing was astounding. Thank you all for the wonderful performances you brought to Latitude’s Outdoor Theatre stage this year. Between each company and act you succeeded in drawing captivated attention from the audience and creating your various and distinct atmospheres which resounded throughout the forest. You set a precedent for the Outdoor Theatre as a destination for many hoping to discover something new and beautiful, and I am delighted to say that this momentum was maintained and even built upon as the weekend progressed. 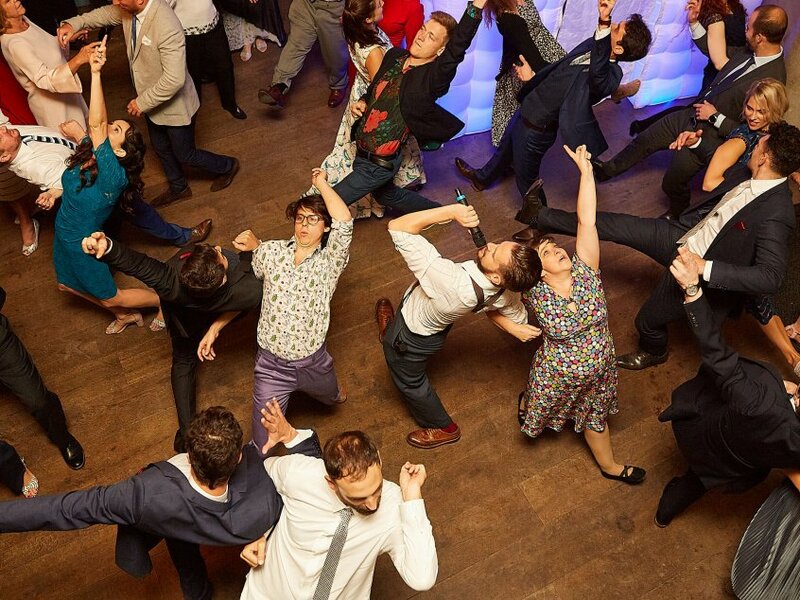 We hired Swing Patrol to perform and give a dance lesson at our divisional summer soiree in September, the aim was to get everyone involved and having lots of fun – which isn’t easy with a room full of lawyers! It’s safe to say that Scott and Arrianne went down an absolute storm with the crowd and everyone was up and dancing, people are still talking about how much fun they had! It was great to do something a little different to the usual corporate get-together over drinks and Swing Patrol certainly kept us all entertained, I highly recommend them! Just to say what a fantastic sessions we had today, they were enjoyed by the children and teachers alike. Some of the children continued doing the dances they had learnt at playtime too. The whole morning ran smoothly and was well organised. Many thanks again.